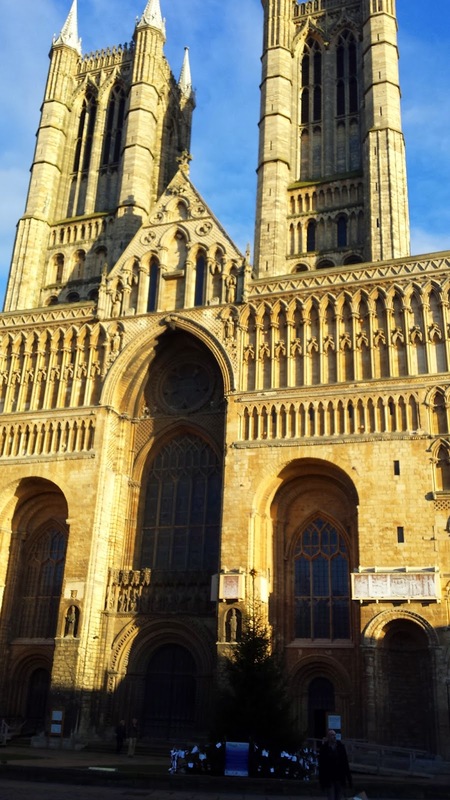 Today was a day out of the studio with a nice little trip to Lincoln, a place that is only about thirty odd miles away but for some reason rarely visited. It’s quite quaint in the old town area around the cathedral with many independent shops and a gallery with Impossimals, well, it would be rude not to pop in and say hello and it really is a nice gallery too who made us feel very welcome on our impromptu pop-in. Nice. Anyway today’s blog is not about today but another day that isn’t today. Make sense? No, didn’t think so. Instead let me whisk you away to the centre of Aldi the budget supermarket and a quest to find the little sticks of chapstick type stuff, you know, the one that stops dry lips and things. They do a very nice one but only at certain times of the year it seems so imagine my surprise when I asked where they were and the shop assistant replied with a waft of her hand. Let me stop you there and let that sink in. Aldi. Skiing section. ‘Oh I’m sorry, would that be next to the Schoffel Hermine’s or the Patagonia Powder Bowls? Or maybe I’m mistaken and I can’t see the chapsticks for all the ski’s.’ as you can tell I wasn’t falling for it. ‘Winter wear.’ A straight thunderous face greeted me by now, I was obviously being difficult by not acknowledging the fine skiing apparel section. Before I go there’s just one more tip I would like to impart, if you are ever looking for new glasses don’t spend an hour choosing only to go to the desk and be told that they look great but they are women’s glasses like I did, it really doesn’t help ones confidence. Also when returning for your new glasses fitting session don’t assume that the lenses are incorrect or that they are ill fitting because you are seeing double until you have checked that the optometrist is not indeed slightly cross eyed like I did. And with that I died of embarrassment.